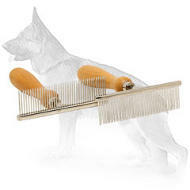 Constantly facing the problem of Your dog's biting, chewing and eating unwanted objects? 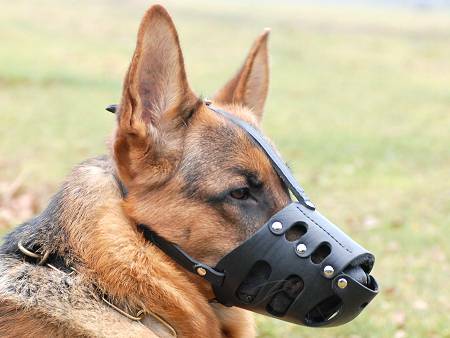 Buy this muzzle to make Your life more calm and to safe Your dog from undesirable consequences. 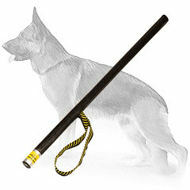 Please, spend 3 minutes to learn more about how this muzzle will help YOU and Your German Shepherd. 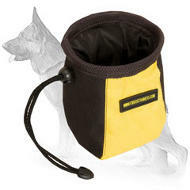 Supreme comfort - that is what every dog handler wants for his pet. It is not a dream at all, as everything you need is a well-considered design; soft and light weight, but at the same time strong and safe material. We have been producing dog equipment for many years and do not stop improving existing models, as well as developing new ones. 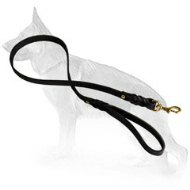 We not only consult professional dog trainers and veterinarians, but we always take into account your feedbacks, as it is YOU, who test our products in practice and thus help us to improve them even more. 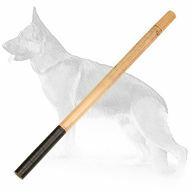 The first most important thing You should pay attention to is material of which this muzzle is made of. 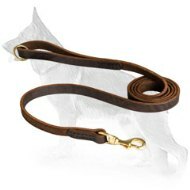 For all leather products, and muzzles are not an exception, we use only 100% full grain leather, that will serve Your dog for a long time. 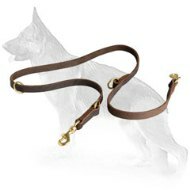 Please note, if Your dog is in regular contact with water or wetness, please apply leather conditioner and water repellent on the muzzle once in a month, so the product will serve you much longer. Comfort of Your dog is the second most important thing we paid attention to. 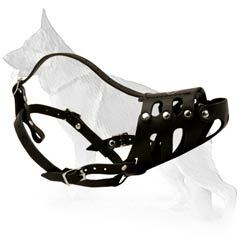 With upper snout part padding Your dog will feel more comfortable while wearing the muzzle, as well as it will help to prevent excessive rubbing, if properly fitted. 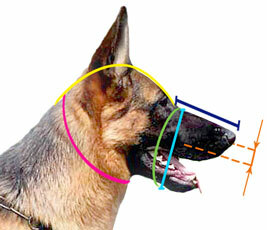 Please provide us with accurate measurement of Your dog, thus we will be able to send Your best fitting muzzle. 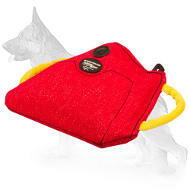 Perfect airflow for Your dog will be great for everyday walking, exercising and short training sessions. 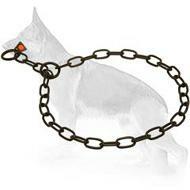 Safe vet visits - no more troubles about somebody's safety; with this properly fitted muzzle Your dog will not be able to bite anyone. 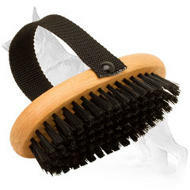 No more chewing and eating unwanted objects. 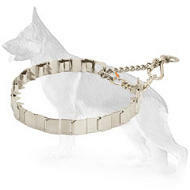 Be ready that Your dog will not like this feature of this muzzle. 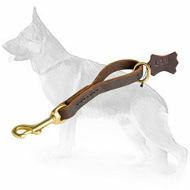 With this muzzle on, Your dog will feel comfortable while walking, training and playing. 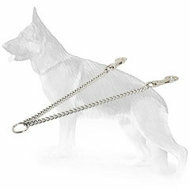 Moreover, you and people around will feel safe, not only because it restricts some dog's actions to bite, but because the dog won't be able to hurt you (and especially kids) by the muzzle itself as it can be with wire muzzles. Forget about non-adjustable straps and straps stretching problems. The straps in this muzzle are adjustable and will not stretch, thus it will be always comfy for Your dog. 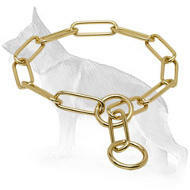 To train Your dog to wear the muzzle: place a little peanut butter or some soft dog food at the end of the muzzle. Fit the muzzle over the snout to try it out for few minutes. 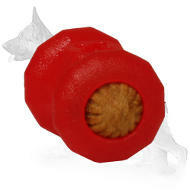 This allows the dog to reach the dog treat and find the muzzle as a positive experience.